Black Krim Tomatoes (Solanum lycopersicum 'Noire de Crimée'): growing, planting, caring. A mid-season variety, with large dark fruits. 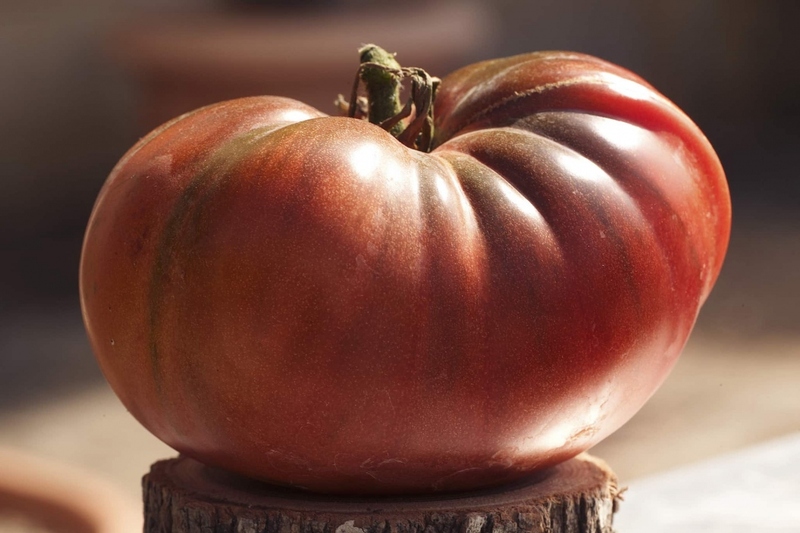 The Black Krim is an heirloom tomato originating from the Russian Federation. The plant is open-pollinated, indeterminate, bearing 8 ounce flattened globe fruits that are dark reddish-purple.